Las Vegas DJ for Las Vegas Weddings, Reunions, Parties, Corporate, for Any Event! Las Vegas DJ Angel for special events, clubs, corporate events, weddings and receptions, reunions, pool parties, birthdays, conventions and trade shows - any Las Vegas event! I've been a Las Vegas DJ for weddings, reunions, corporate events, graduations and pool parties with a library of music for ANY event. If you're having a special event, nothing ramps things up like a live party Las Vegas party DJ spinning the music you enjoy. Have a Las Vegas corporate event and need a Vegas DJ to play appropriate music and make announcements? Need a Las Vegas Wedding DJ to make the reception fun and memorable? Or perhaps a birthday or family event that you want to add a special touch with a Vegas Party DJ? I started Vegasdeejay.com, a Las Vegas DJ service, over 12 years ago to provide Las Vegas DJ and Emcee services for Las Vegas area weddings, receptions, conventions, dances, reunions, corporate events and private parties. During that time, I've had rock solid references and testimonials from clients who contacted vegasdeejay.com for Las Vegas DJ services. I have provided Las Vegas DJ and Emcee service and Karaoke for over 5000 parties for all of the major Las Vegas casinos, entertaining people from all over the world. Of course Las Vegas locals who live in the Las Vegas area and want a Las Vegas DJ for their event are also many of my repeat clients. Many of my Vegas DJ gigs for wedding receptions, parties, conventions and business events are repeat customers that I have worked with for many years. It's a honor when a past customer asks me to DJ another party, a family member from a previous wedding gig wants me to DJ their wedding or a business setting up a convention booth in Las Vegas wants me to DJ/MC at their booth year after year. Whether you need an outgoing Las Vegas party DJ, club DJ, Emcee for a special event or a Las Vegas DJ to keep the party going, I'll provide the appropriate DJ for your Las Vegas event. Places that our myself or one of my DJ's have performed include Mandalay Bay Hotel and Casino, Wynn and Encore Resorts Las Vegas, Venetian Hotel and Casino Las Vegas, Texas Station, Fiesta Casino's in Henderson and Las Vegas, MGM Casino Las Vegas, New York New York Hotel and Casino, Freemont Street Experience in downtown Las Vegas, Goldspike Hotel and Casino Las Vegas, Golden Nugget Las Vegas, City Center Las Vegas, Aria Hotel and Casino Las Vegas and many others. Myself and my Las Vegas DJ's have also provided services at Angel Park Country Club, Dragon Ridge Country Club, Canyon Gate Country Club, Lake Las Vegas Resort and other fine Las Vegas country clubs. So, whether you have a large Las Vegas event or a small house party, school event, reunion or wedding, this Las Vegas DJ is ready to serve your needs. Have questions? Call or see the frequently asked questions. Enjoy and celebrate your special day. Available for the ceremony and reception. The brides choice for a Las Vegas wedding DJ. Member of Wedding Wire. DJ's and MC's for Las Vegas birthday parties, pool parties, reunions, bachelor parties, VIP parties, school and graduation parties. We have the Las Vegas experience to make sure your event is what you expect. DJ's and MC's, sound system. models, dancers. Fully insured Las Vegas Hospitality Association, National Association of Catering Professionals, Convention Services Association. Whether you need a Las Vegas MC for promotions or a DJ that get can the dance floor packed. VegasDeeJay.Com is part of the TechWarrior.Net Network of Las Vegas based web sites. VegasDeeJay.Com of Las Vegas is owned and maintained by TechWarrior.Net, which holds the copyright of all content on the Las Vegas based company VegasDeeJay.Com. 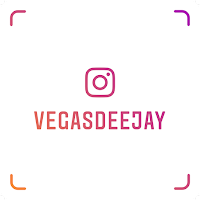 VegasDeeJay.com is a Las Vegas based DJ and entertainment company. We provide DJ talent. We also provide mobile DJ's ( disc jockey's, dee jays) for events in Las Vegas, Primm, Laughlin, Mesquite, Henderson, North Las Vegas and other southern Nevada communities. VegasDeeJay.Com may also be viewed by the web address http://www.TheLasVegasDJ.com which is listed in Wedding-Resources.com and decidio.com. Our Las Vegas DJ company is based is Las Vegas. We have been providing dj's for Las Vegas for over 10 years.